David Clapson: sanctioned to death? My brother, David, died on 20th July 2013 & I believe his death was due to benefit sanctions.The Coroner refused to open an investigation & I am seeking funding to challenge this in the High Court. My name is Gill Thompson. I am the sister of David Clapson who died on the 20th July 2013 and I believe his death was a result of benefit sanctions. As many of you know, I have been campaigning for a long time to try and achieve an investigation into the link between the benefit sanction imposed on my brother and his death. I believe that having had his benefits stopped due to a sanction, he was unable to afford to buy food and electricity to refrigerate his insulin, which in turn left him unable to manage his diabetes. The circumstances leading to David’s death have never been openly investigated. I raised funds through CrowdJustice earlier this year so that I could get legal advice and take steps to try and secure a new investigation. Supported by lawyers, I made detailed submissions to the Coroner setting out why an investigation was necessary and that an Inquest should be held. My request was refused by the Coroner on 4 November 2016, stating there was no causal link between the sanction on David’s benefits and his death. I believe this to be completely wrong; my brother died with no food in his stomach, from fatal diabetic ketoacidosis. He was a Type 1 diabetic who was left destitute and the sanction removed his lifeline. I now want to ask the High Court to consider David's case by bringing a judicial review of the Coroner's refusal to hold an inquest. To do this, I need to instruct an expert so that I can prove there is a causal link, pay expert fees, instruct lawyers to advise me and prepare a judicial review claim, and pay court fees. Although I ideally need £18,000 to do this, with £10,000 and with my lawyers working at reduced rates I will be able to bring proceedings. In order to take action I need to raise a minimum of £10,000 and I would appreciate any help you can give. I cannot bring my brother back but feel this will be a fundamental precedent to ensure lessons are not just learnt, but are acted upon to prevent anymore needless suffering of the vulnerable in our society. David had Type 1 Diabetes and the Coroner's report stated that he died from fatal diabetic ketoacidosis and that there was no food in his stomach. The DWP were aware of his condition, yet sanctioned him leaving him with no income at all. David then had no money for electricity so was unable to chill his insulin or buy food. Whilst he died as a result of his diabetes, the sanctioning took away his lifeline. Surely before sanctioning my brother the DWP should have sought professional medical advice, by doing so they would have had an idea of what the outcome of their actions could be. The DWP guidance on Diabetes makes the sweeping statement "JSA claimants are likely to have well controlled diabetes" and provides no explanation about how food and insulin play a crucial role in managing the condition. My brother had been warned of the consequences, potentially fatal, of taking insulin without food , yet to not take his insulin could cause diabetic ketoacidosis. That was the choice my brother would have faced - no choice. David was found dead in his flat in July 2013, he was 59 and died alone and penniless. David was very vulnerable yet had his £71.70 JSA allowance stopped for a month, penalised by the job centre for missing two meetings. He tried his best but was vulnerable, he had worked for over 30 years and CVs were found just feet from his body. The sanction left him unable to buy food, his electric key had ran out and he could not chill his insulin (temps at that time 30c +). David was a quiet, private and proud man who never asked or wanted much; he never complained or told me or his friends he had been sanctioned. He was not a scrounger or skiver, he was simply unwell and vulnerable and needed the caring support rather than being sanctioned without a lifeline. He tried his best but was vulnerable, he had worked for over 30 years, including serving as a soldier in Northern Ireland at the height of the troubls, and CVs were found just feet from his body. After David’s death, I wrote to the DWP and all the local party representatives. The Government say they followed procedures, and "that no errors were made…”. It was then that I started my petition with Change.org gaining well over 200,000 signatures which helped to secure a Parliamentary Select Committee Inquiry in March 2015, which came up with 26 recommendations. “The Government responded accepting in principal some of the recommendations, but importantly not all. The Government have not accepted the need for an Independent Review, monitoring the destinations of sanctioned claims and investigating the deaths of benefit claimants. In addition, David’s story has been published in the local and national press, broadcast in ITV, C4 and BBC radio and TV. The RT. Hon Jeremy Corbyn MP also mentioned David's case in Prime Minister's Questions Time recently. The Welfare State was introduced to help the needy and most vulnerable people in our society – a safety net to ensure no harm or death comes to our citizens who fall on hard times. The UN recently expressed their concerns about the extent to which the UK Government has made use of sanctions in relation to welfare benefits and the absence of due process and access to justice for those affected by the use of sanctions. The government say that sanctions are issued as a “last resort”, but have issued over a million to people with physical and mental disabilities and serious health conditions. Sanctions have been issued for missed appointments, being late for an appointment, having to attend important appointments (i.e. hospital, doctors and even funerals) – these are not criminal offences and surely do not deserve such harsh, cruel and draconian punishments. Did anyone take into consideration David’s life threatening condition when issuing the sanction? Did anyone check his file to really understand the serious effect of stopping his benefit leaving him no longer in control of his diabetes? 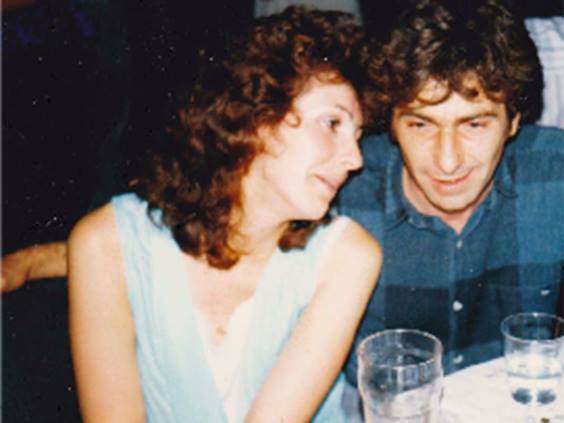 I am asking please for your support to fund my judicial review of the Coroner's refusal to open an Investigation/Inquest into the circumstances of David's death and the role of benefit sanctions in his death. Whilst I cannot bring my brother back, I feel an Inquest will prove a key factor to ensure lessons are not just learnt but are acted upon in order to prevent more needless suffering. I am being represented by Merry Varney of Leigh Day Solicitors and Caoilfhionn Gallagher & Jesse Nicholls of Doughty Street Chambers. “We believe there is huge public interest in an investigation into the role played by the imposition of a benefit sanction in Mr. Clapson’s death. “We are grossly concerned by the fact David, despite his vulnerability arising from having Type 1 diabetes, was not entitled to an immediate hardship payment while under sanction and that the DWP guidance on Diabetes does not in our view properly recognise the importance of food and access to chilled insulin for people like David. Despite our client’s best efforts there has been no open and through investigation of this matter at all. This cannot be left. Someone has to answer for this. I want to see justice done for David Clapson - a man murdered by the DWP due to a sanction - it is disgraceful, when this proud man was stripped of all of his income - with no recourse whatsoever. As mentioned, last month, lawyers sent a letter “before action” to the Hertfordshire Coroner setting out the grounds to open an inquest into my brother’s death as being unlawful. This is the first stage of a judicial review – the legal mechanism for challenging in decisions made by public bodies. Unfortunately despite these submissions, which included reports from Diabetes UK and a leading Diabetes Consultant, the Coroner still declined to open an inquest. So it is now with the courts. I am now asking the High Court to quash the Coroner’s refusal so that a full and fair inquest can take place, and issues of wider public concern on benefit sanctioning vulnerable people are properly considered. Going to Court is an option of last resort but I feel compelled to use every effort to ensure that the impact of the DWP imposed benefit sanction on David&apos;s death is properly and independently investigated. I believe the DWP continue to impose sanctions on diabetic benefit claimants and for my brother&apos;s sake and importantly for others now at risk, I hope the High Court grant permission to challenge the Coroner&apos;s decision. Today I appeared on the BBC’s Victoria Derbyshire Show entitled “Benefit sanctions increase in Severity” to talk about David’s case. Also Charlotte Hughes told how daughter, who was 23 weeks pregnant was sanctioned. Bob Blackman spoke for the government on Benefit Sanctions. I would like to say a huge thank you, for your incredible generosity and continued support - without you all this campaign would not be possible. I have extended the deadline to give time to reach our target and would be most grateful for you to share this page and if able to help raise funds to help us hit this target. Thank you again for you for the many wonderful and supportive messages received, it has meant so much in this campaign to stop this cruelty continuing. On 9th January my lawyers sent a letter before action to the Coroner setting out the grounds on which I consider the refusal to open an Investigation / Inquest into my brother’s death is unlawful. This is the first stage in a judicial review challenge – the legal mechanism for challenging in Court decisions made by public bodies. I hope the letter will change the Coroner’s mind, however if the Coroner continues to refuse my request, the next step at the end of this month / early February is for legal proceedings to be issued. On the 12th December I attended the Public Accounts Committee. Its purpose was to take evidence following the National Audit Office report on the functioning of the benefit sanctions implemented by the Department for Work and Pensions and their effectiveness. This meeting along with many written statements highlighted the impact and effectiveness of Benefit Sanctions. At the PAC meeting they discussed many things including support and behaviour change and sanctioning of the vulnerable. Financial sanctions it seems are meant to create a behavioural change, but surely as seen in many cases it is not a behaviour change and sanctions that are needed, but support and care for the vulnerable in our society. “… are you confident that a sad death such as his will not happen to other people and that the system will pick up vulnerabilities in main jobseekers ? David, (mentioned at the end of the report) like so many others, was doing his best, but sadly at a time when he most needed support, he was sanctioned. We await the Public Accounts Committee (hopefully encouraging) Report shortly and will send an update when published. Thank you again for your continued support and financial contributions - it is so helpful and much appreciated. Over the past few years we have seen a massive increase in food banks, the Government have persistently refused to accept the links between sanctions and welfare changes and the increase. Benefit sanctions can be imposed between four weeks and three years if claimants break rules such as missing appointments or deciding not to take a job they are offered, and many other reasons, which have been shown to be unfair and unjust. Food banks are the lifeline to so many, kept going by the generosity and donations of the local people. Two days ago I helped in the Stevenage Community food bank, mine and David’s home town, where we handed out 30 food parcels. Following the scathing report on Benefit Sanctions from the Government&apos;s own National Audit Office there was a formal Inquiry by the powerful all party Public Accounts Committee on the 12th December. I along with many others, presented a detailed evidence dossier to PAC and attended the hearing, and will update you on its findings in due course. Thanks to the overwhelming support we have raised over £11,000 with a stretch target of £20,000 which we are hoping to achieve to help make a difference to the many still suffering. I would be most grateful if you could share this page and if you are able to pledge once again to help us hit the target. – we couldn’t do it without your help! The latest set of Trussell Trust annual figures showed that in 2015-16, its 424 food banks gave out enough emergency food to feed more than 1.1 million people, a year-on-year rise of 2% and up from 61,000 in 2010-11. It warned that reliance on charity food was in danger of becoming “the new normal” for low income families in financial crisis. A separate report by the All Party Parliamentary Group suggested the true scale of hunger in the UK could be far greater, as more than half of emergency food is supplied by independent food banks and other organisations not covered by the Trussell Trust’s figures. The Department for Work and Pensions dismissed the findings as “misleading”. The Trussell Trust is calling on the public to help families facing hunger this Christmas as food banks busiest month of the year begins. On the 9th December, the Mirror, Unite the Union and the Trussell Trust held a pop-up ‘Hope not Hunger’ foodbank outside Parliament to highlight the fact that 120,000 families face going hungry this Christmas alone.